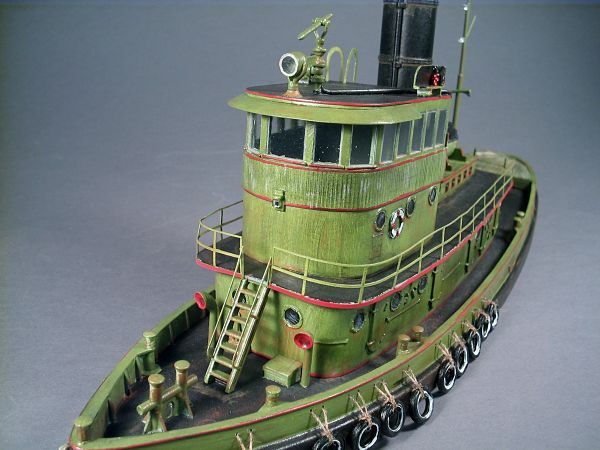 This beautiful kit is based on a 92' Steam Railroad Tugboat. 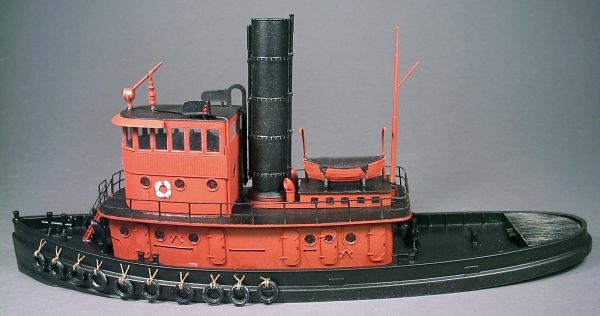 Although this kit is not of a specific prototype, it does incorporate many distinguishing features found on steam powered railroad tugs built around the turn of the century and in service well into the 1960's when they were fazed out and replaced with diesel tugboats. 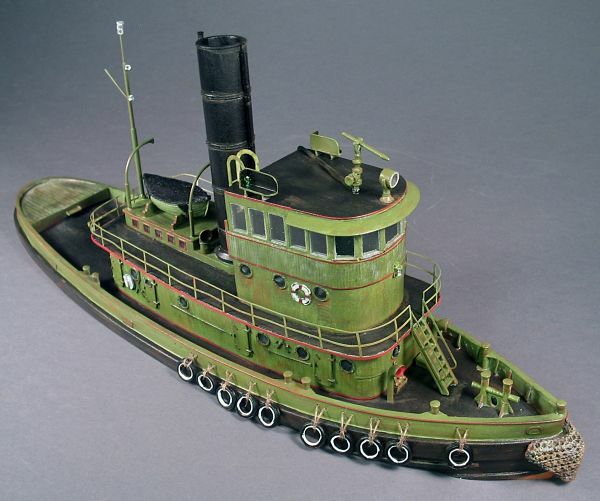 These tugs were indispensable to the rail-marine industry pushing carfloats and station floats out to ships, piers and across the harbors and coastal waterways of the United States. They also transferred loaded carfloats from one side of harbors to the other as an extension of rail lines crossing waterways. 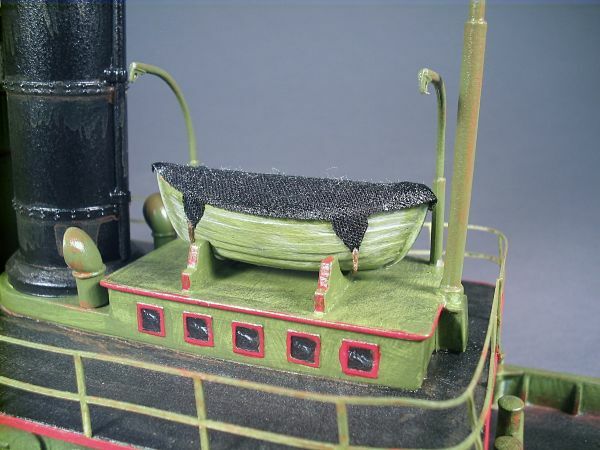 The tall wheelhouse allowed the ship's captain an unobstructed view above carfloats loaded with boxcars. 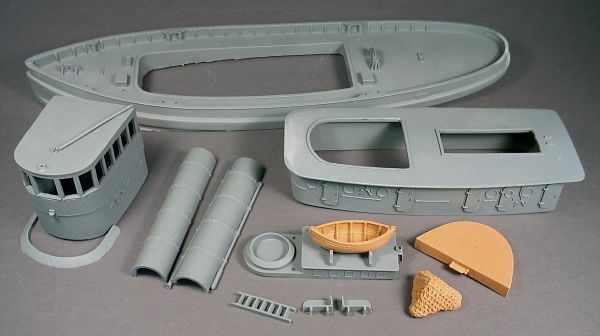 Our kit is comprised of highly detailed cast resin structural parts i.e. 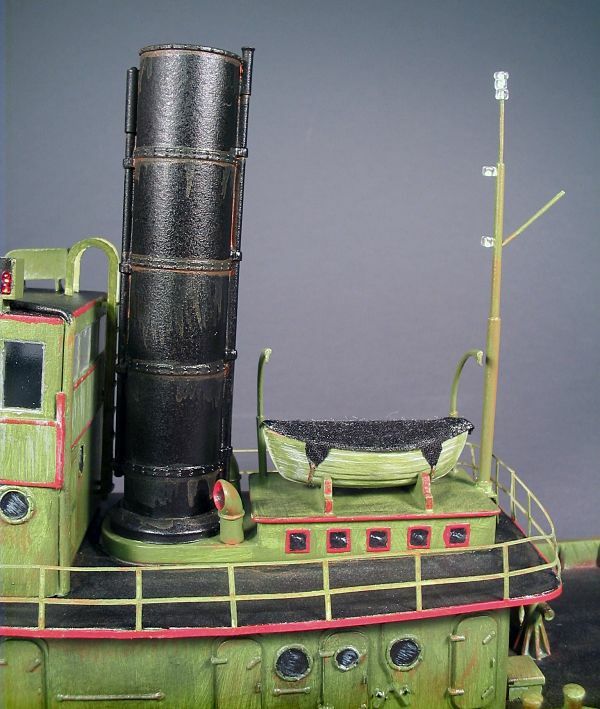 one piece cast resin hull, one piece cast resin superstructure, one piece cast resin wheelhouse along with other highly detailed cast resin parts. Unlike some other manufacturer's resin kits, ours require very little cleanup of flash and parting lines. We specialize in resin castings that display crisp, intricate detail with thin cross sections. 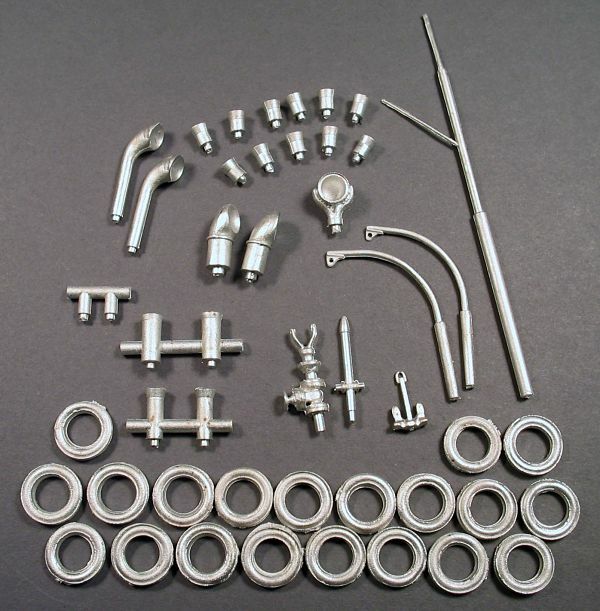 Pewter detail parts include 20 tire bumpers (now cast resin), mast, bitts, anchor, fire monitor and searchlight along with other pewter detail parts. Laser cut plastic railings and laser cut window glazing, rope, and glass bead running lights are also included. 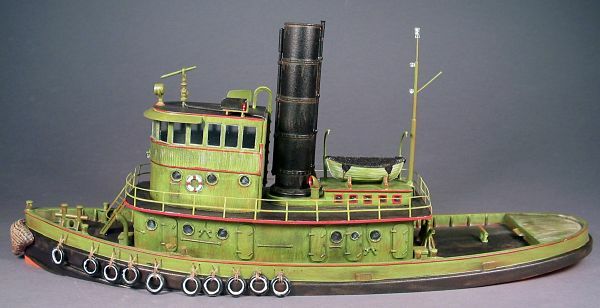 As with all our highly detailed kits, this one builds into a beautiful, foreground model in just a few evenings time with minimal modeling experience. Most details already cast in place.